For some time now, China and Saudi Arabia have been negotiating to ditch the petrodollar system and allow Beijing to purchase oil with the Chinese yuan. If a deal is struck, it will be a huge blow to the long-standing system of the petrodollar, which dictates that oil is sold in units of U.S. dollars. Should it begin to dissolve, it could spell the end of U.S. dollar hegemony — leaving Americans with an increasingly devalued currency, and robbing them of their spending power. Here’s how China’s deal-brokering in the oil market could gradually kill the dollar, and what average savers ought to know about maintaining their savings in spite of it. 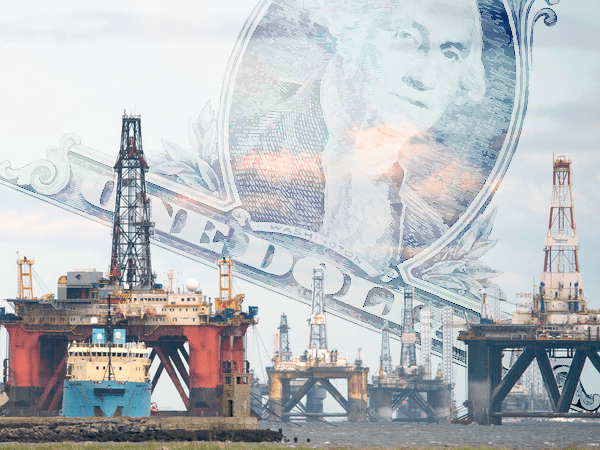 The petrodollar has reigned supreme as the world’s default oil trading currency since 1974, when the U.S. made an agreement with Saudi Arabia that crude sales to all countries would be made in dollars, thereby supporting USD value. But now, China is bringing that deal into question. This comes at an awful time for the dollar, once the world’s undisputed, number one reserve currency, but which has recently taken severe hits to that status. Now, at the ever-growing number of signs of weakness in the dollar, China is fully seizing on an opportunity to fully dethrone the greenback and position the yuan in its place. Things started to really heat up back in June 2015, when Russia’s third largest oil producer, Gazprom, announced it would settle all crude sales with China in yuan, thus dropping the dollar entirely from those transactions. Keep in mind, Russia is the world’s top oil-producing nation. So that move alone was a major hit to the dollar. Today, China is taking the next big step: restructuring its trade relationship with Saudi Arabia — the world’s second largest oil-producing nation — to do the same thing it did with Russia. But why is China doing all this now? The dollar’s vulnerability isn’t necessarily the only reason. 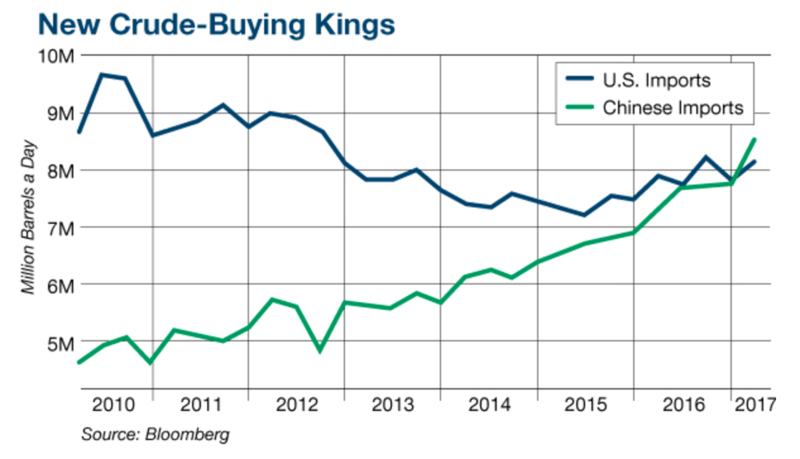 Now that China is the world’s leading consumer of oil, Beijing can exert some real leverage over Saudi Arabia to pay for crude in yuan. This is what’s motivating Chinese officials to make a full-fledged effort to renegotiate their trade deal now. So China has serious incentive to topple the petrodollar, but what power do Chinese officials have to make that happen? As it turns out, quite a bit… mainly because of the foothold China already has with its 2015 deal in Russia. That’s a key point, because it allows China to reduce its imports from countries who won’t trade crude for yuan (like Saudi Arabia), while favoring Russian imports instead. And that’s exactly what China’s been doing. By slowly constricting its imports from Saudi Arabia and falling back on Russian imports, Chinese officials are sending a clear message to the Saudis: Trade with us in yuan, or we’ll take our business elsewhere. Well, China is the world’s biggest customer when it comes to oil. And with their existing agreement in Russia, Chinese officials have Saudi Arabia over an oil barrel. Ultimately, that could be what makes this deal happen – and really damages the dollar. 1) Its historically prominent use for trade in the oil market. 2) Its position as an international reserve currency. As we said before, the dollar has already lost significant ground as an international reserve currency, so one of those pillars is partially crumbled. With China posturing to destroy the petrodollar, the second pillar could start cracking as well. Eventually, precious little will remain to keep the dollar propped up. When that time comes, anyone holding dollars in their savings could be in for a painful reality check. The wheels for a serious dollar crisis are already in motion, and China’s efforts to tear apart the petrodollar will only set them spinning faster. This issue won’t just go away, and it could be responsible for the biggest loss of wealth among regular savers in our lifetime. However, there is a way you can “rescue” your dollars: allocate a portion of your savings into physical precious metals. Remember, by the laws of basic economics, physical gold will always rise in price when the USD falls — for the simple reason that it takes more dollars to buy the same amount of metals when the dollar takes a dive. The value of precious metals is fixed; it’s only the price of metals denominated in a currency that fluctuates. So the purchase price of metals is largely dictated by the valuation of whatever currency is being used to buy them. If you don’t own gold yet, or if your current allocation is lacking, this news shows today could be a very wise time to start or increase your position.